In America we value our independence… our ability to live where we want and not have to rely on others. While working we might live in a spacious house on a quiet cul-de-sac street, and don’t venture outside to meet our neighbors. Then after retiring, we downsize to a smaller home — a condo or townhouse — in a 55+ community and remain socially isolated. Boomers are increasingly living on their own as they age and are more likely to say they feel lonely than other generations. Being divorced, widowed, never married, or without children close by are contributing factors why so many live alone. Women more than men will be in this predicament as women tend to live longer. 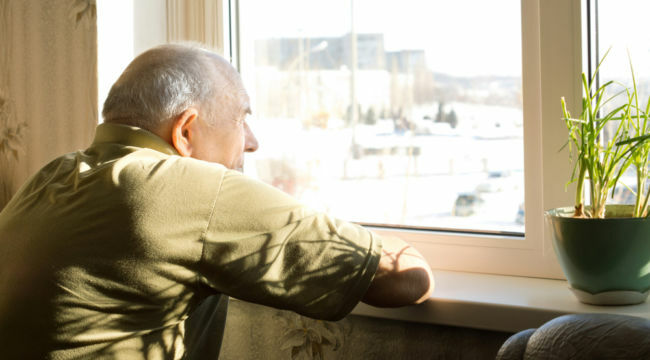 A survey by AARP found that loneliness has become a health crisis for adults. Only 33% of midlife and older adults who have spoken to neighbors are lonely, vs. 61% who have never spoken to a neighbor. Researchers discovered that loneliness is as closely linked to early mortality as smoking up to 15 cigarettes a day or consuming more than six alcoholic drinks a day. Moreover, it is even worse for longevity than being obese or physically inactive and can lead to depression, cognitive decline, dementia, insomnia, and high blood pressure. The cohousing concept is generally a group of smaller homes where residents might share a lawnmower, tools, laundry facilities, a large kitchen, a garden, and recreational areas. The homes are private and clustered near a common space where everyone meets to regularly share meals and build friendships. Prices range from moderate to high end. The average is usually about the same as in traditional communities in the area. In other words, the goal of cohousing communities is to share resources rather than pulling into your garage, closing the door, and never knowing your neighbors. And a study by Brigham Young University revealed that greater social connection was associated with a 50% lower risk of early death. It’s part of the new sharing economy within a small village — the kinds of communities that used to dominate our society. Residents contribute time to help the community. Participation depends on how much their personal lives allow. And there is a mutual trust among members that everyone is doing what they can… be it helping to clean the common house or maintain the commonly-owned grounds. More than 160 such communities exist in the U.S. Most are intergenerational with children and older folks. Ages of residents often range from 2 to 96. And for seniors it could offer an attractive alternative to living in a 55+ community where everyone sits around complaining about their diseases, aches and pains, and children who don’t visit. Many residents are baby boomers seeking a downsized, community-oriented, and environmentally-friendly lifestyle where can have privacy but can simply walk outside to enjoy the connections around them. And communities are expanding their guidelines to include amenities for seniors, such as ride-sharing and nursing care. So far, the cohousing model has been successful. A survey by the Cohousing Research Network found that 96% of residents reported an improved quality of life, 75% felt their physical health was better than others their age, 81% engaged in equipment sharing, and 92% had a community vegetable garden. There are dozens of established communities across the country. The Cohousing Association of the U.S. has a list. Advocates very clearly state that cohousing is not a cult or commune. Nor is it utopia. Still, you have to learn to accommodate different personalities, accept other residents’ individual peculiarities, respect one another, and make decisions with other households. And that ability could carry over into other parts of your life. Health could be an issue, too. At some point you may need special care, full- or part-time. And if severe enough, you might need to move to an assisted living community. Then you’d be faced with the task of selling your cohousing home. As with all real estate, how quickly it sells would depend on many factors, especially the local market conditions. So if you’re tired of rambling around in that big house and considering downsizing, cohousing is worth a closer look. The concept offers the ability to maintain your independence while aging with people from a diversity of backgrounds and having a sense of community.